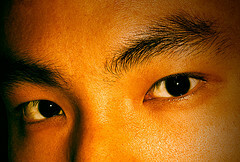 In 2011, when National Geographic reported on the global population reaching 7 billion, it determined that the “most typical” person in the world is a 28-year-old Han Chinese male. In South Korea, as in many East Asian countries, popular procedures—aimed toward an idealized Western appearance—include narrowing and sharpening the nose, adding double creases to eyelids, lightening skin, slimming round faces, and reducing calf size. The risk of unconditionally accepting to operate on patients and respond “yes” to all of their requests is to leave them in a cultural limbo. The people who want to erase, or minimize, their physical origins usually aren’t completely assimilated with Westerners, and are turned away from their own social groups who criticize and stigmatize this choice because they feel their faces are being discriminated against. Of course, global norms and ideals continue to change. Watch this National Geographic video and you’ll see that by 2030, the most typical person will be from India. Given time, though, due to intermarrying across cultures, we all my end up looking like Brazilians. Stephen Stearns, an ecology and evolutionary biology professor at Yale, tells LiveScience that since the invention of the bicycle the distance between potential spouses has continually increased. Bring in paved roads, automobiles, and airplanes, and our wold has become even smaller when it comes to finding a mate. This means that recessive traits will become fewer and fewer, and other traits that separate us now will blend together. What will this look like? In a few hundred years, according to Stearns, it will look Brazilian. But why stop at a few hundred years? What about in 100,000 years? 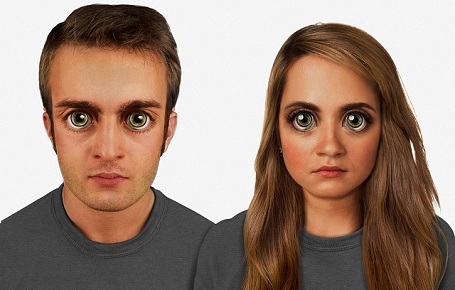 Artist Nickolay Lamm teamed up with Alan Kwan, a computational genomicist, to illustrate what they think future humans might look like. Published two weeks ago at MyVoucherCodes.co.uk, Lamm’s renderings show features brought on by increased brain size and life in space colonies. Maybe those old movie images of aliens with large foreheads and oversized eyes were on to something. You are currently reading The Changing Face of the World, with or without Plastic Surgery at Clearing Customs.